Since the invention of the cinema, the Napoleonic period has never ceased to fascinate. 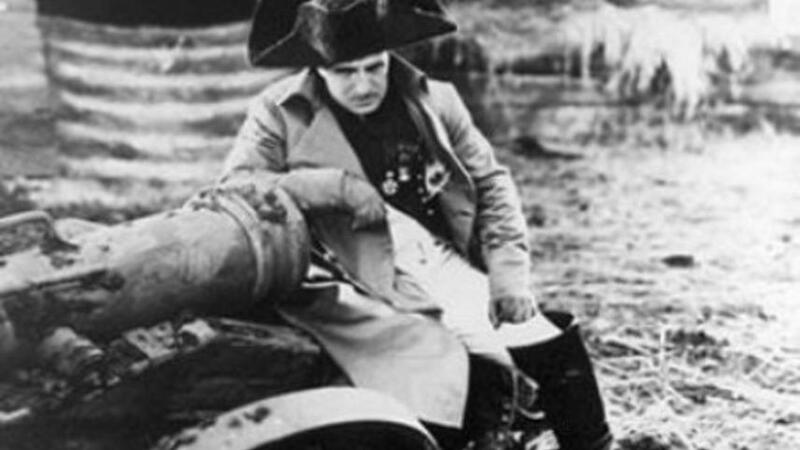 There have, for example, been several biopics of Napoleon and other historical characters (most notably Nelson), a wide range of costume dramas, and various attempts to produce film versions of historical novels, including at least two shots at Tolstoy’s War and Peace; indeed, Napoleon is commonly supposed to be the character in human history who has been most often represented in film after Jesus Christ. Only rarely, however, have individual battles been taken as a subject by directors. There is the notorious Nazi propaganda film Kolberg, the violently anti-British Austerlitz and, including the one reviewed here, two films on Waterloo, the first by the German director, Karl Grune, released in 1929. Somewhat surprising though it is – we are, after all, speaking of some of the most famous commanders and most famous battles in history, not to mention a genre politically inviting – the reasons for this paucity are clear enough. In brief, until comparatively recently –one thinks here of the technology utilized in Lord of the Rings— to stage convincingly battles required immense resources, whilst except in certain circumstances –for example, the defence of embattled outposts à la Battle of Rorke’s Drift during the Zulu Wars-– it is often difficult to convey complex historical contexts to a public guaranteed to have almost no knowledge of the actions concerned. Given these problems, it is rather surprising that 1970 saw the release of a new film version of the battle of Waterloo. What changed the situation was Russian director Sergei Bondarchuk’s War and Peace released in 1967. 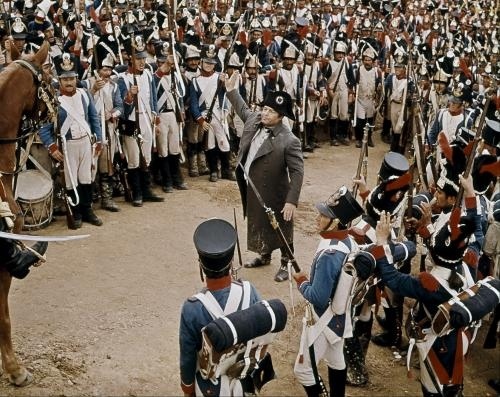 Featuring both Austerlitz and Borodino, the film tackled the problem head on, graced by battle scenes of a magnitude to satisfy even the sharpest critic. This was scarcely surprising – with the Soviet government keen to exploit the war against Napoleon as a key element in its propaganda, Bondarchuk was granted the use of huge numbers of Russian troops and vast swathes of empty steppe. The success of that endeavour undoubtedly persuaded the producer, Dino de Laurentis, to explore the possibility of a new epic. It is worth pointing out that 1968-69 marked the beginning of détente and, with it, increasing possibilities of doing business with the Russians. The subject of the new film, 18 June 1815, was an obvious choice. Waterloo is beyond doubt the most famous battle of the Napoleonic era, whilst the story of which it is the climax is both highly dramatic and easily told. It is not difficult to see why De Laurentis should have appointed Bondarchuk as the director. But what can we say of the result? Let us first deal with the technicalities. 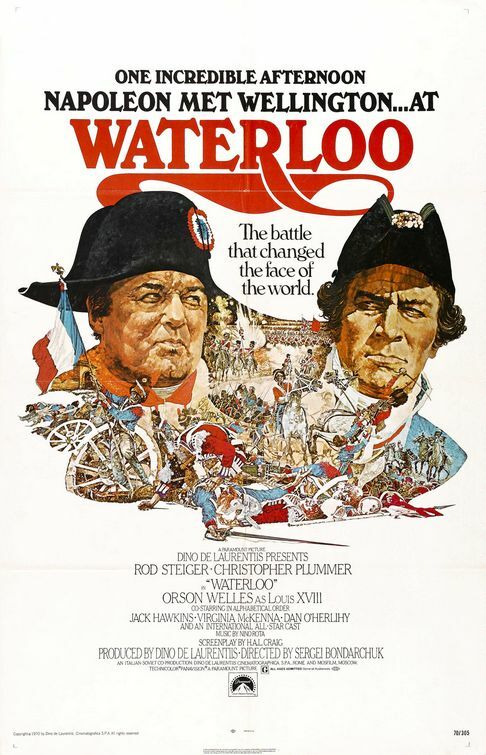 Made on a specially created (and quite passable) recreation of the battlefield with the aid of no fewer than 15,000 Soviet soldiers and a stellar cast comprising Rod Steiger, Christopher Plummer, Virginia McKenna, Jack Hawkins and Orson Welles, Waterloo was clearly intended as a “blockbuster.” Even the generous aid of the Soviet government could not reduce its cost, and the final budget of some £12,000,000 made it one of the most expensive productions ever to hit the silver screen. However, merely throwing resources at a project is not in itself enough to make the exercise worthwhile, and the end product proved deeply disappointing. Let us begin with the positive. In so far as this reviewer is concerned, the choice of Rod Steiger as Napoleon was absolutely inspired and the making of the movie. It is not just that Steiger vaguely resembled the emperor physically or that the make-up department did such an extraordinary job that to this day it is Rod Steiger I think of at the mention of the name ‘Napoleon’ (something for which I may perhaps be forgiven, having first been taken to see Waterloo as a very excited ten-year-old! ), Steiger captured the French ruler’s mercurial nature and personal magnetism, not to mention the dynamism of which he was still capable in 1815 (though Bondarchuk chose above all to emphasise the increasing physical infirmities that plagued him by 1815: the image of a Napoleon in spectacles is a particularly arresting one). Others, it has to be admitted, have been less kind, as witnessed, for example, by the review in the New York Times: “It is an awful performance, and every mannered point of it is emphasized by the elephantine selectivity of Bondarchuk’s camera – narrowing upon the eyes, a weary fold of flesh, the carefully hunched back, the hat, the pudgy man’s walk. 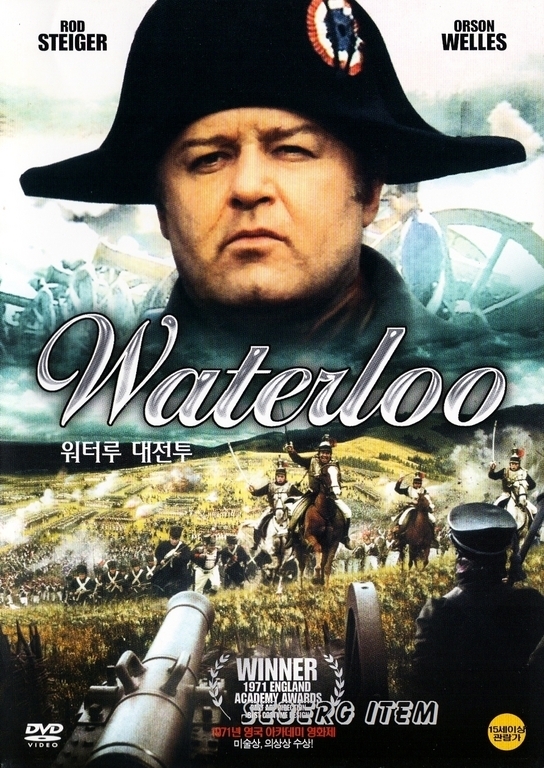 During the first parts of Waterloo, when Napoleon is much in view, I thought that no director, not even Bondarchuk, merited Steiger’s performance. Later, in the heat of the battle, I felt that not even Steiger need have suffered through Bondarchuk’s direction. But now critical calm has put all things in perspective, and I realize that they richly deserved each other.” Well, perhaps, but the rest of the review suggests that the author knew little about the period and that his comments were unduly harsh. Moving on, we come to the historical sensibility. Almost inevitably, the first thing to say here is that Waterloo is not the place to look for an objective narrative. On the contrary, almost every aspect presented in the first half hour of the film can be seriously challenged. That said, even as die-hard an opponent of Napoleon as the current reviewer cannot but admit that it is utterly brilliant as a piece of cinema. Thus, by dint of inspired direction, Bondarchuk conveys a “pocket battleship” version of the Napoleonic legend that is, alas, all too plausible. Thus, we see Napoleon as a man of the Revolution, a Napoleon beloved by the people, a Napoleon facing the unrelenting hostility of the ancien régime, a Napoleon desperate for peace, and finally a Napoleon prisoner of destiny (as he always claimed) whose fate lay with forces beyond his control. This is not surprising: this was the image of Napoleon retained in public consciousness, and, furthermore, that depicted by the renowned Abel Gance. De Laurentis and Bondarchuk evidently decided that this was the Napoleon they wished to market and the chief thrust of the battle narrative told in the second half of the film would attempt to explain away Napoleon’s failure in a way that maintained unsullied his reputation as one of the great commanders in history (thus, the start of the battle is delayed by the need to dry up the mud left by days of rain; French subordinate commanders make blunder after blunder; and the emperor is alternately wracked by the absence of his wife and child, and gripped by periodic bouts of illness). Not all of this defense of Napoleon is unwarranted. The generosity displayed by the emperor towards the various marshals who had betrayed him in 1814 but now rallied to the eagles once more, is generally recognised as one of his more attractive traits, while there is little doubt that he was not at his best at Waterloo and that officers such as Ney and Grouchy did not exactly distinguish themselves. That said, however, the argument is taken too far, and one is left with the feeling that, if Napoleon had been able to make a film of the battle, Waterloo is exactly what he would have come up with. In short, very much in the tradition of Abel Gance, the Napoleonic legend has continued to rule the screen. So much for Bondarchuk’s treatment of Napoleon, but what of his treatment of the battle? 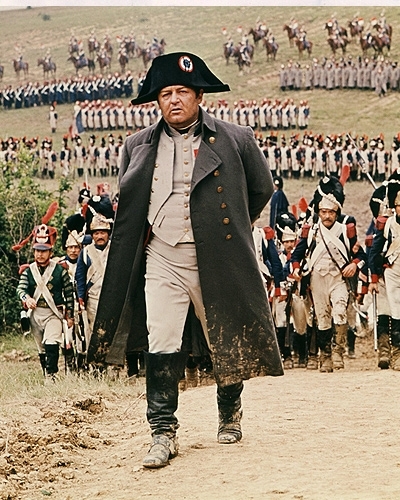 In contrast to the portrayals and screenplay –it was not just Steiger’s performance that critics objected to, alas-– this aspect has often garnered lavish praise.To quote a latter-day commentator, who liked Rod Steiger, but, rather oddly, thought he was up-staged by Christopher Plummer as Wellington, “I don’t think you’ll ever see a better on-screen representation of a battle from the Napoleonic Wars … Every point of the battle is shown, from Hougoumont to the farmhouse at La Haye Sainte to Napoleon’s final retreat. It is an amazing piece of work.” In so far as the general art of war in the Napoleonic age is concerned, the fact that such an opinion can be voiced is quite extraordinary, and it can only be attributed to a complete want of historical knowledge on the part of the reviewer. The film is certainly impressive in terms of the proverbial “shock and awe,” but it can be faulted on many points of detail. To take just two examples, the effect of artillery fire and the formations and tactics employed by Wellington’s infantry. One of the main problems faced by filmmakers working on the period prior to the American Civil War, is that only a small minority of the rounds fired by artillery were composed of explosive shells; instead, particularly in so far as the French were concerned, the vast majority were either solid shot — i.e. cannon balls– or canister, often erroneously referred to as grapeshot. Neither of these types of round had any explosive capacity whatsoever, whilst it was the practice of artillerymen to set the fuses of shells in such a way that they exploded in the air above their targets, there otherwise being a danger that the projectiles might simply get buried in the ground. In Waterloo, however, all this is blithely ignored, the audience being shown enormous groundbursts like those witnessed on the Western Front. One cannot, of course, have cannon balls whistling through the air on recreated battlefields, and Bondarchuk may therefore be forgiven for this particular piece of artistic license. This, however, is not the case with mistakes in the portrayal of Wellington’s infantry. Here all he needed was to deploy and instuct them correctly but he failed woefully. The scenes with Wellington’s troops in square are fine, but otherwise his treatment is completely inaccurate. The British infantry of the Napoleonic wars habitually fought in line when facing other infantry, but in the only two scenes when this happens –the counterattack mounted by Sir Thomas Picton at the cost of his own life in the middle of the day, and the final advance of Wellington’s forces at the end of the battle– they are shown moving forward in column. Particularly on a battlefield where the French were known to have superior cavalry, this is not wholly implausible, but even so there is no evidence that anything of the sort happened in either situations. The scene in which the British Guards repel the advance of the French Old Guard is even worse. Thus, we see the Guards deployed in what appears to be an open column of companies, beating off the French by having each company firing off a volley and then immediately dropping to its knees so that the column behind could fire a volley in turn. Seemingly inspired by a similar sequence in the film Zulu, such a tactic might look sophisticated enough, but, if attempted on the battlefield, it would have led to complete chaos, not to mention large numbers of friendly casualties. 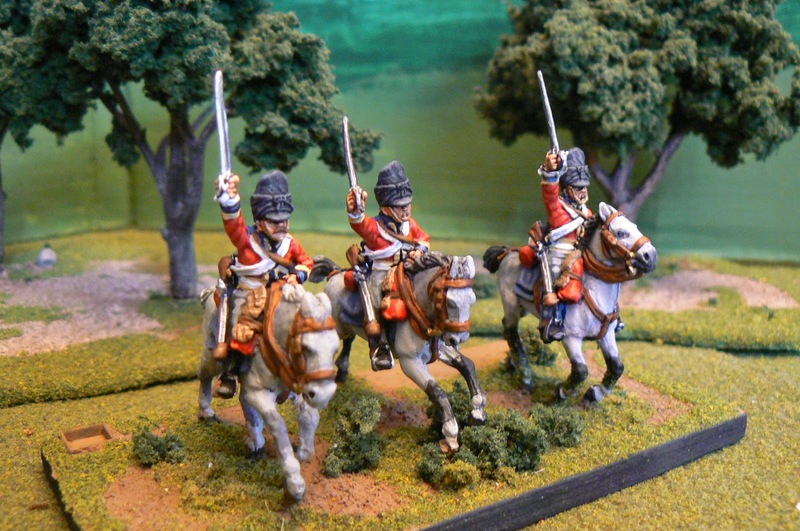 Why, then, not opt for a realistic portrayal of British infantry tactics that would have looked no less dramatic, but, in point of fact a great deal more so? All this, perhaps, comes over as the words of an anorak* (or, as it were, greatcoat). Let us instead turn, then, to Bondarchuk’s narration of the battle. In many respects it is not so bad: the main episodes of the battle –the initial French artillery bombardment, the attack on Hougoumont, the advance on Wellington’s centre, the counterattack on the part of the British heavy cavalry, the attack of the Old Guard and, finally, the disintegration of Napoleon’s forces– are all shown in proper order, whilst some effort is made to suggest that the battle did not just happen sequentially (i.e. that, particularly at La Haye Sainte and Hougoumont, “battles within battles” raged for many hours while fighting went on elsewhere). Thanks to careful marshalling of the combatants and sensible use of continuity, the battle does not just disintegrate into a general free-for-all along the lines of Spartacus and the audience has a fairly good chance of following its progress as one “act” leads to another (to make doubly sure, a twenty-eight page guide to the making of the film and, more especially, to the course of the battle, was published at the time of its release and put on sale in cinema foyers). So far so good, but there is still much to say. The completed Waterloo was four hours long and some of the criticisms that follow might not exist had this been the version on offer. However, to the best of the author’s knowledge, the full version has never been released in the West, and the film must therefore stand or fall by the decisions of its editors. Sadly, what we are left with is very much a mutilated masterpiece, if masterpiece it ever was. Repeatedly, there are bewildering “holes in the plot” that often ruin the effect of otherwise careful staging. Of these the best examples concern the advance of Drouet d’Erlon’s corps on Wellington’s centre. This begins well enough with the French arriving in the dense columns that they employed in the attack, but the clash with Picton’s infantry is scarcely represented at all. Still odder is the charge of the Union Brigade that followed, represented only by the Royal Scots Greys thundering straight into a full-scale charge, but their destruction of Drouet’s left-hand division, complete with Sergeant Ewart’s capture of the eagle, is completely ignored, and the Greys therefore sweep on across the valley to their destruction at the hands of Jacquinot’s light cavalry. All this is very odd, but there are other issues which undermine the film’s accuracy still further. There is no mention of the Dutch, Belgian and German units in the ranks of Wellington’s army. Arguably the King’s German Legion and the Hanoverians wore nearly identical uniforms to those in the British army, meaning that while their presence can be assumed, but extremely silent. Second, mention of the Prussians is barely greater. We are told that they will be coming to support Wellington, but otherwise their role in the battle is minimal. At some point in the early afternoon, Napoleon spots troops on the horizon that later turn out to be the Prussians, but they are shown only at the very end of the battle in the wake of the defeat of the Old Guard, with the impression that they have just arrived on the field, and that their only task is to pursue the defeated French. There is no mention of the hours of bitter fighting around Plancenoit, and Blücher does not meet with Wellington at La Belle Alliance to utter the famous words “Quelle affaire” [what a business]. On the other hand, General Cambronne does get to shout “Merde!”(which would henceforth be known as “le mot de Cambronne”), even if that unit’s last stand differed from the film’s dramatic depiction, another piece of invention being the (non-existent) cliff-like fall into the sunken lane at the summit of Mont Saint Jean popularised by Victor Hugo as the chief reason for the failure of the French cavalry charges. Finally, the film falls prey to a number of historical clichés, perhaps the worst being the myth of the noble Highlander. Of the three Highland regiments in Wellington’s forces, two were very heavily engaged at Waterloo and the third, the famous Black Watch, was cut to pieces at Quatre Bras. It is, then, perfectly fair to salute their courage and it is the subject of numerous paintings. Examine paintings of Waterloo, however, and you will find that the Highlander became ubiquitous, featuring in nearly every episode and cropping up in the most unlikely places. Why this is so need not concern us here, and it is sufficient to say this has affected the memorialization of Waterloo down to the current day (it is no coincidence that, when the plastic figurine manufacturer, Airfix, brought out its first box of Battle-of-Waterloo soldiers in 1970, it chose a regiment of Highlanders). 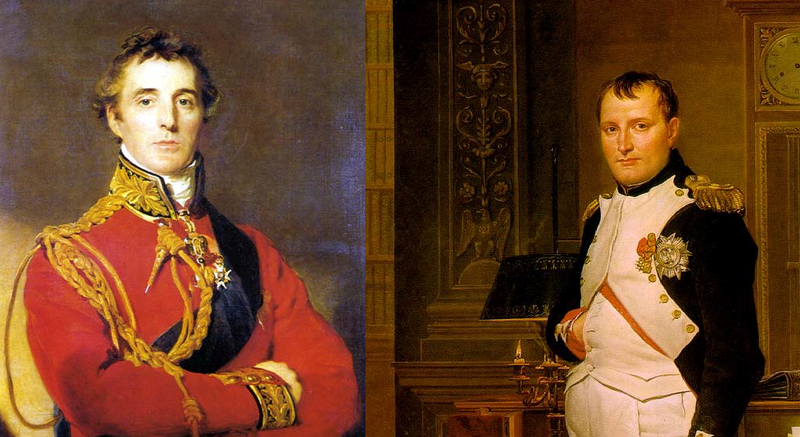 Given that iconic image, one would expect Waterloo to follow the fashion. At the Duchess of Richmond’s famous ball, then, what do we find but a squad of stalwart Highlanders performing a sword dance for the assembled officers, diplomats and their ladies. To conclude, Waterloo does have its good points –the depiction of the battlefield at the close of the day is particularly fine– but its narrative of the battle is often as highly unrealistic and disjointed as it is anglocentric, and shameless in promoting the Napoleonic legend. It is questionable even as a drama, many reviewers finding its dialogue leaden and stilted, some performances poor, with excessive “padding,” including, most notably, the charge of the Scots Greys and the waltz at the Duchess of Richmond’s ball. All of this resulted in failure at the box office, all the more unfortunate as so much of Bondarchuk’s original had been cut in order to make it appealing to the general public. One can only hope that one day the full version will be made available to film buffs and historians alike. For a very good example of the ludicrous results that are likely to be produced by attempts to stage Waterloo with inadequate resources, cf. the television version of the Bernard Cornwell novel, Sharpe’s Waterloo: in brief, to ensure that we do not see the empty spaces that would otherwise be inevitable, the battle is refought in area of parkland liberally studded with large oak trees! New York Times, 1 April 1971, accessed here, 31 August 2014. Cf. ‘Movie Review: Waterloo’, accessed here, 31 August 2014. * An “anorak” is British slang for an obsessive.